Keynote Speaker Joshua Prince-Ramus (REX), Design Charrete, NCARB, Workshops, Beaux Arts Ball, and much more! Registration ends September 30, 2013. 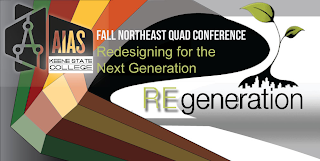 Are you a BAC student interested in attending the Fall Northeast Quad Conference? Current BAC students may be able to receive financial assistance from student activity funds toward the conference fees. Email aias@the-bac.edu! Learn more about the conference, or sign up here.